Can A House Be Sold While In Probate in Frederick, CO? Can a house be sold while in probate in Frederick, CO? Yes, a house can be sold while in probate in Frederick CO if specific steps have been followed. Probate is the process of reassigning the property to the beneficiaries/heirs with the court of law after a person dies and leaves their property(s) behind regardless if they had a last will or not. Depending on the complexity of the case and how many beneficiaries/heirs there are it can take between 4 and 6 months to complete the probate process in Frederick CO. Typically, probate involves lots of paperwork and hiring a lawyer to make appearances at court. The lawyers and court fees are paid from the estate property, which would otherwise go to the individuals who inherit the property. 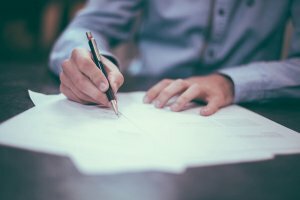 Can a house be sold while in probate? Yes, And here are the Steps to follow! In order to get an appraisal done you need to look up an independent certified appraiser, you can search on Google for “Frederick Appraisers” or reach out to a local real estate agent for a recommendation. If you’re ready to sell your house during probate in Frederick give us a call at (970) 744-4944 or for a quick cash offer, fill out this form.